According to the Bureau of Labor Statistics the Consumer Price Index for April is up 0.8 percent over the March CPI. This is important for military retirees, and those drawing VA benefits, because the CPI is used to determine the annual cost-of-living-adjustment (COLA) and rate adjustments to VA Disability and Compensation, Vets Pension programs, and other VA rates for the following year. 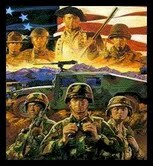 The Military Officers Association of America reports that the April 2011 CPI is up 2.9 percent from the 2008 CPI, which means veterans and survivors may see an increase in compensation and pension benefits in 2012, the first since 2008.